Special Areas of Conservation (SAC) and Special Protection Areas for Brids (SPA) are sites designated for the conservation of habitats or plants or animals of European importance under the Habitats and Birds Directives. These sites are considered the best national examples of important habitats or they support rare, threatened or vulnerable species of flora and fauna. They form part of a Europe-wide network of protected sites called the Natura 2000 network. Article 6(3) of the EC Habitats Directive requires that any plan or project, which is not directly connected with or necessary to the management of a European site, but would be likely to have a significant effect on such a site, either individually or in combination with other plans or projects, shall be subject to an ‘appropriate assessment’ of its implications for the European site in view of the site’s conservation objectives. The competent authority can only authorise the plan or project if they have concluded that it will not adversely affect the integrity of any Natura sites, unless in exceptional circumstances the provisions of Article 6(4) are met. For the purposes of AA, a project has a very broad definition and includes any development or activity that requires consent or is subject to licencing such as planning permission, waste permits or foreshore licence. A plan may include land use plans such as the County Development Plan and Local Area Plans as well as strategy and policy documents such Tourism Strategies or Waste Management Plans. A The Appropriate Assessment Process has four stages. The first stage of the AA process is called screening. This stage considers whether there is the potential for negative impact on a Natura site from the proposed project or plan. The precautionary principle is applied so that if any negative impacts cannot be ruled out straight away, then a a more detailed examination of the potential impacts must be carried out i.e. Stage 2 Appropriate Assessment. The Appropriate Assessment of the proposed project or plan considers in detail how it may impact on a Natura site on its own or in combination with other plans or projects. The potential impacts of the project are considered in terms of how they might affect the Natura site in view of its conservation objectives. Proposed mitigation measures are considered at this stage. If the authorising body is satisfied at this stage that the project poses no threat to any Natura site, it may be permitted subject to normal licencing or regulatory procedures. If following stage 2, negative impacts on Natura sites cant be ruled out it must be considered how the project or plan can be altered and then start at stage 1 again with the revised project design or plan. If negative impacts on a Natura site cannot be avoided and no alternative solutions are available, under Article 6 (4) a plan or project may only be permitted for Imperative Reasons of Public Interest and providing adequate compensatory measures are taken to ensure that the overall coherence of Natura 2000 is protected. Competent Authority: Galway County Council (or other licencing body such as the EPA or the Forest Service) – Carries out the Screening and the Appropriate Assessment if required. Developer or Promoter – Submits a Natura Impact Statement NIS to provide the Competent Authority with the information necessary to carry out the AA. A QUALIFIED ECOLOGIST prepares the NIS with input from other experts as necessary e.g. hydrologist, ornithologist, bat specialist etc. A Natura Impact Statement is a scientific analysis of the potential effects of a proposed plan or project on Natura sites. The NIS should be prepared by a qualified ecologist with input from specialists where required e.g. botanical, ornithological, hydrological, bat expertise. The NIS should clearly identify any Natura Sites in the zone of influence of the development. This would include SAC or SPA sites within or adjacent to the plan or development area, but it is important also to consider that sites a bit further away which may be within the catchment area or that may be linked by the movement of protected species e.g. foraging habitats or migration routes. Hydrological Pathways: Connected via surface or ground water. Disturbance Pathways: i.e to disturb resident animals or interfere with movement of animals through site. 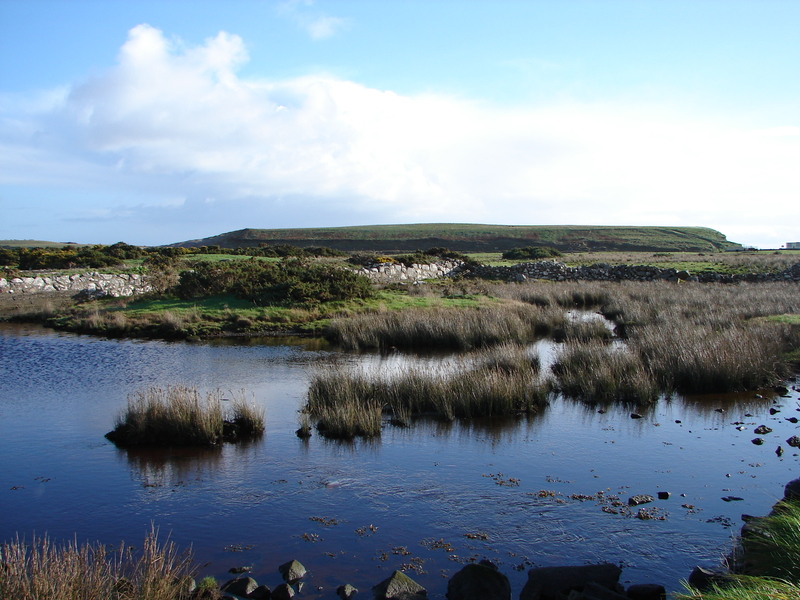 The NIS should describe the effects of each element of the project/plan and their likely impact on the Natura site on their own and in combination with each other as well as the cumulative impacts i.e. how the elements of the proposed project/plan along with other projects or plans may impact on the site. The significance of any impacts is considered by using Indicators of significance such as scale and duration of impacts; loss of habitat area or function; loss of species or interference with relationships of species; key physical and chemical parameters relevant to the structure and function of the site. If mitigation measures are included in the project design, they are examined to determine if they are adequate to prevent or negate any adverse impacts on the site. When designing a project or plan, it is preferable to avoid negative impacts as far as possible in the first instance and where impacts cannot be avoided, mitigation measures must be applied. To assist this, it is advisable get ecological input at earliest stage of project design. Standard environmental good practice procedures can be included in projects that screened out at stage 1. However, if a project requires more involved mitigation measures in order to avoid negative impacts on a site, it will require an NIS for full AA. This page was added on 03/11/2016.